disability / visibility | Abler. 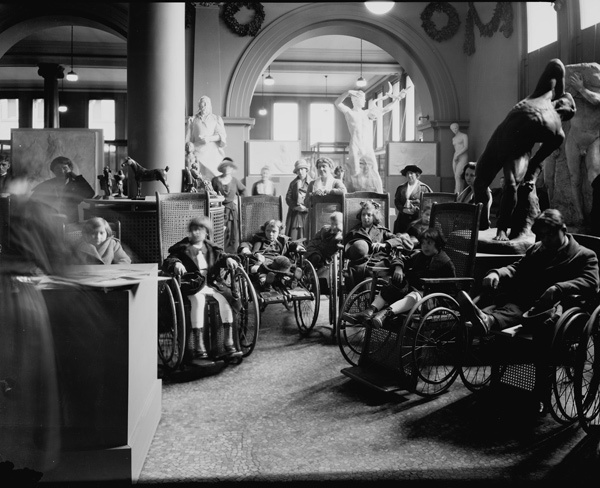 2015 marks the 25th anniversary of the Americans with Disabilities Act, and there are a number of efforts underway to publicly acknowledge that milestone: its importance and its still-needed work in making meaningfully inclusive institutions and structures. Alice Wong is running the Disability Visibility Project as one of those efforts. The year-long project is a collaboration with StoryCorps, the popular NPR series where two people have a conversation, a kind of reciprocal interview. The Disability Visibility Project invites people who identify as disabled to tell their own stories: to themselves aloud, to a interview partner, and to the networked public via NPR. Story-telling is critical to any historically-marginalized group, and not least for disability rights advocates. It’s all too easy for hard-won legislation to fade into the silent past; it’s easier still for daily challenges around minority rights and opportunities to remain untold to the general public. And the scale of stories told matters, as ever. StoryCorps’s biggest strength has been in delivering the intimacy of people speaking to one another, more or less informally, about their lives—making those lives three-dimensional, affective, complex. See more details about participating in the project: this year in Atlanta, Chicago, San Francisco, or at one of StoryCorps’s mobile sites, in this interview over at Criptiques, or on the project web site. Image via the Metropolitan Museum.